Want to add an oriental touch to your home? This small yet beautiful aromatherapy diffuser helps you to relax and unwind whilst you breathe in your favourite aromatherapy oils in the comfort of your own home. The amora calliope is ideal for any family home that is in need of subtle serenity and a touch of tranquillity. Is baby not sleeping well at night? 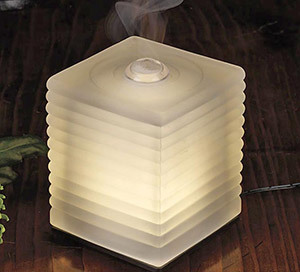 With the aromatherapy diffuser, the gentle, warming light will help baby drift to sleep and you can add drops of essential oils such as Lavendar and Ylang-Ylang to your lantern. When the water runs out of the container, the diffuser automatically turns off and leaves the gentle light on. You can decide whether you want the diffuser to be on constantly or on an intermittent setting for longer lasting aromatherapy. If you have had a stressful day at work or in the home, this little pick-me-up diffuser will help to uplift your mood and promote a relaxing ambience. 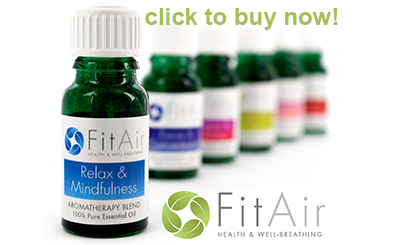 Use aromas such as Neroli and Cedarwood to elevate your mood and relieve feelings of fear, shock and anxiety. The beauty of this Amora Scent Hub lies in its design. It will look great wherever you decide to place it in your home, be it in the kitchen, living room or dining room when you are entertaining your guests or want to make your home smell beautiful for friends and family visits. This marvellous aromatherapy diffuser acts as a humidifier too; use only water in the tank for it to emit fine mist to your dry air. Did you know that dry skin, nose, eyes and throat are all symptoms of your air being dry? Adding moisture to the air will help prevent those symptoms from happening; especially in the colder months of the year where the dry winter air will creep into your home and soaks up the moisture from the air. It might not be the bitter chill of the winter from the outdoors that is making you feel flu like – it could be right at home! Unlike the majority of humidifiers that are bulky, big, make excessive noise and are a bit – well, let’s just say, they’re not exactly a sight for sore eyes. The amora calliope is different; firstly it doesn’t even look like a humidifier! The amora calliope is delightfully camouflaged as an elegant oriental lantern, no one would even realise! Secondly, the humidifier runs on extremely low wattage which means it’s healthy for the environment and is exceptionally quiet; so you don’t need to worry about it making unearthly sounds that will keep your baby awake in the nursery. Baby will sleep soundly! Get in touch with your elegant side with the Amora Calliope.